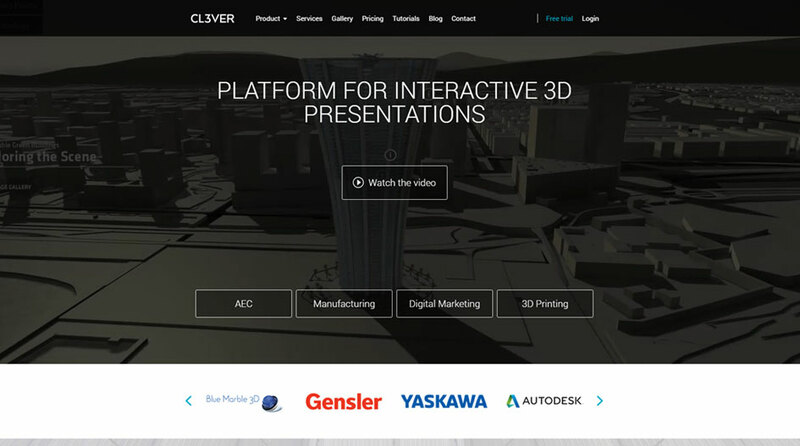 CL3VER is a cloud based platform for interactive 3D Visualization and 3D presentation for Architects, Engineers, Constructors, Industrial Designers, Manufacturers and marketing professionals. CL3VER transforms Autodesk BIM Revit, 3ds Max and Maya, SketchUp, Rhino and SolidWorks models into interactive 3D presentations available on desktop and mobile devices via browser. Responsive development and design of CL3VER websites, a cloud-based platform that enables engineers, architects, and other design professionals to create interactive 3D layouts.